This interview with Ernst von Kimakowitz was published on June 7th 2016 in Japans third largest daily newspaper, the Seikyo Shimbun with a print run of 5.5 million copies. It is looks at business education at Soka University and the connection to the HMCs works on humanistic management. This interview was conducted by journalist Hideki Hagimoto centered around two main topical areas and exploring their connection. First the impression and views of the interviewee on the teaching and course work at Soka University's business faculty and secondly the HMCs work on Humanistic Management. Fundamental to the first of those topics is the acknowledgement that Soka University in Tokyo is one of the very few if not the only University around the globe that explicitly states that its Business Education is grounded in teaching principles of Humanistic Management. There is no center or individual chair or institute for humanistic management but it is seen as integrative to the entire business education at the university. In addition substantial efforts are underway to implement the schools active learning program aiming to move away from lecture based teaching towards interactive and team oriented teaching formats. 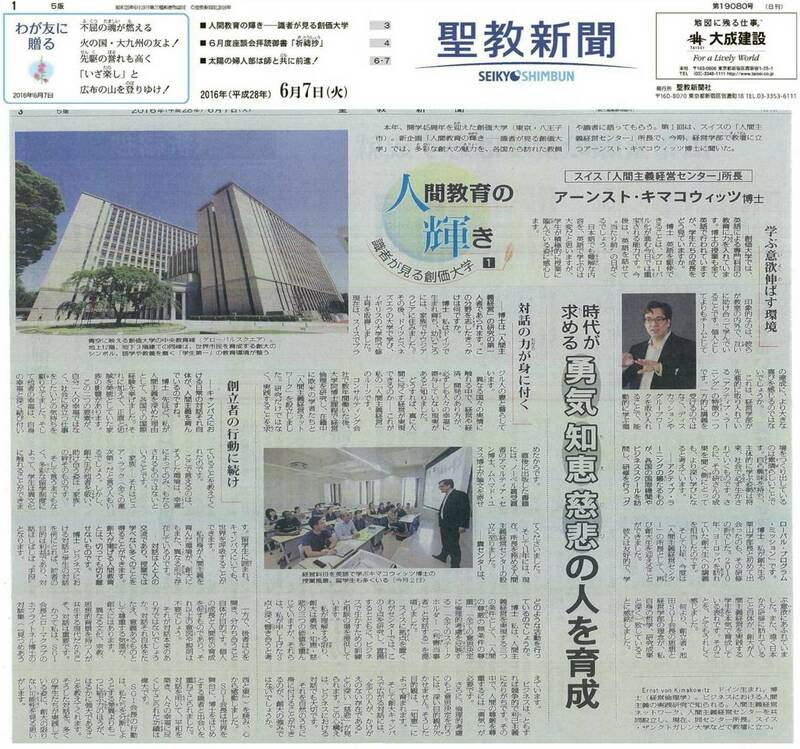 Regarding the second point the links with our Three Stepped Approach to Humanistic Management are very strong and we look forward to deepening this relationship that we have developed since 2010 under the leadership of Professor Kuriyama, Dean of the Business Department at Soka University.